Vital Ground’s Wild River Project conserves a crucial habitat corridor between isolated grizzly bear populations in the Cabinet-Yaak Ecosystem. When Grizzly 839 began wandering away from the Cabinet Mountains in northwest Montana, he showed no interest in traveling north. The young bear, as profiled in last fall’s Vital News, rambled east toward Flathead Lake and south into the Salish Mountains before making his way up to the Whitefish Range, just west of Glacier National Park. North of 839’s birthplace lay the Yaak Valley and the Purcell Mountains, rugged country extending up into Canada. But for all his footloose behavior, the young bear never set foot there. It’s hard to tell precisely why a grizzly goes where it goes, but this much is clear: Bears like 839 have long been denied passage between the Cabinets and the Yaak. The Kootenai Valley stands between the two areas, and ongoing human development there has meant more and more obstacles for wildlife. The result? Perilous habitat fragmentation. Just 25-30 grizzlies are estimated to persist in the Cabinets and the Yaak, putting the two groups in grave danger of inbreeding and extinction. Grizzlies now have a better chance at connecting this historic range, with your support allowing Vital Ground to complete an enormous conservation achievement for the Cabinet-Yaak area. The Wild River Project protects 42 acres within a wildlife corridor that biologists have long identified as critical for the region’s habitat connectivity. 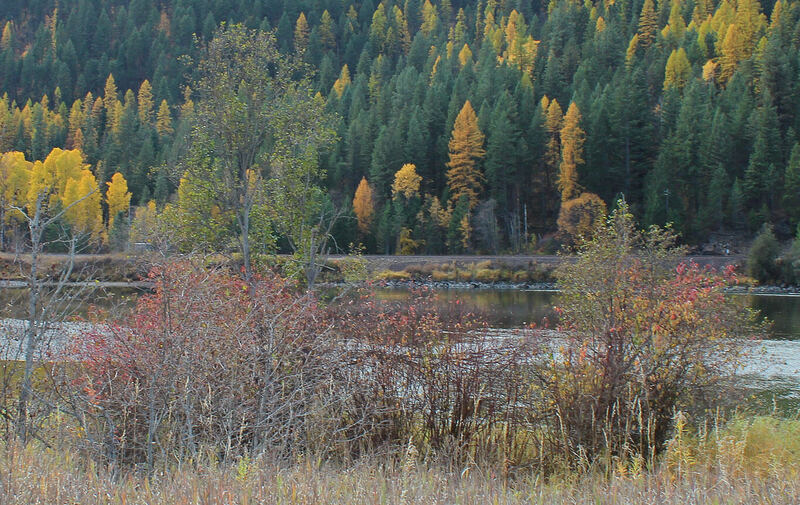 Located near the confluence of the Yaak and Kootenai rivers, these acres are pathways for bears, wolverine and other wide-ranging species. But before conservation entered the discussion, Wild River was slated for residential subdivision. The land was split into 12 lots, the forest was cleared, and all that was missing were buyers and houses. Now, led by Vital Ground and the Yellowstone to Yukon Conservation Initiative, an inspired collaborative has changed the game. This success hinged on the generosity of inspired memorial donors, many contributors like you and the following extraordinary organizations: the Cinnabar Foundation, Cross Charitable Foundation, Deupree Family Foundation, Glide Foundation, Steele-Reese Foundation, Sweetgrass Foundation, Weeden Foundation and Whitefish Community Foundation. Now comes the fun part—restoring these acres as prime habitat, so the next wandering griz can reestablish an historic connection.